Happy Sunday Funday! On this Sunday Funday, I would like to stand before you and remind you that when we lose a loved one, they are not lost forever. They are now being protected by Jesus. 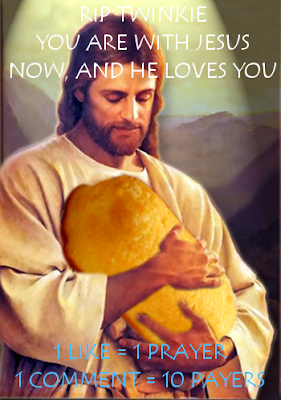 Thank you, God, for Twinkies'. May you keep them in peace until we meet again.